The Jeska Shoe Company is another product that has roots going back to a College project. Jessica Haynes and Kaci Mathews from the Southern Arkansas University teamed up in the 2011 Arkansas Governor's Cup competition and submitted their business plan for the magnetic women's heel changer which they named the Jeska Shoe Company. They went on to place in the competition and now the Jeska Shoe designs are coming to the Shark Tank. This seems like a good idea (if I wore high heels anyway) and it's easy to see a market for this creative solution that would expand your collection of choices of shoes to wear. Unfortunately, there is very little information on this business since they have graduated and the website is currently directing everyone to their FaceBook page. This may be (hopefully) is because they are putting on the final touches before the Shark Tank airs this Friday Night but does not explain why it has not indexed in Google yet. I hate to say it and I sure hope it's not true, but this is starting to remind me of the Partie Poche from a few months ago when two College Students were not ready either when the Shark Tank Effect took a hold. In fact, it's only a few days away from showtime and the only way I found them was from a mention on the SAU website. The Jeska Shoe Company may still be in the development stage and they now need the Sharks to help to get the product launched which would answer a lot of questions. If that's the case, then it will all come down to the valuation they put on their new business and how much equity they are willing to give up and get this product into Shoe Stores across the country. Did they secure a patent for a magnetic stiletto heel that can be switched to a wedge shoe? Then Jessica and Kaci might only be looking for a licensing deal with other established shoe companies and will not even need to worry about an online presence. It looks like we will have to wait until Friday Night to find out these answers and if the Jeska Shoe Company will become another Success Story on the Shark Tank Show. Until then you can visit Jeska sSoe Website which currently redirects to their Facebook Page "at this time". WOW as wrong as I was about another company in this episode it appears I was just as wrong about Jeska Shoes but in a good way, a Very Good Way. 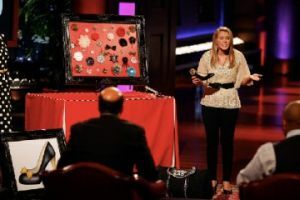 Jessica Haynes came on the Shark Tank all by herself looking for a $70k investment in exchange for 30% of the interchangeable shoe business. 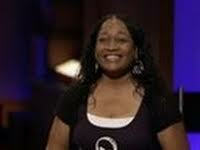 At this time she only has proto types of her patent-pending shoes and needs the investment to take them to market. She gives one of the best presentations that actually had me on the edge of my seat and did a very good job convincing me to invest in the company (if I was a Shark that is). Barbara Corcoran agreed with me but she is not convinced this is Jessica's true calling and proceeds to go out. 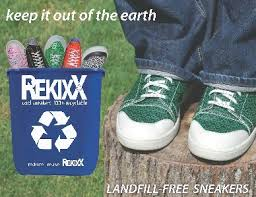 In fact, it is such a new product that will take a lot of time and much-needed experience to make the Jeska Shoe Co. a reality that all the Sharks go out but the one Man that could make it happen. After it is revealed that Jessica has put all her life savings into this business and then a loan from her parents on top of it, she needs this investment or she may lose everything. 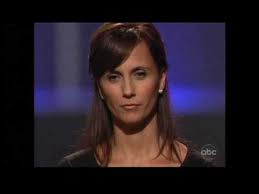 For us Shark Tank Fans that already knew that Daymond John got turned down 27 times from banks before taking a second mortgage out on his Mom's house, it had a very distinct resemblance to Jessica's story. This product still being in the development stage and with zero orders to speak of, Daymond knew this was going to take a lot of time and effort offers Jessica the $70k but for 70% of the business. He is willing to teach her everything he knows and bring the Jeska Shoe Company to the masses. Jessica wastes no time in accepting John's offer and agrees to basically hiring him and getting paid in the process. @TheSharkDaymond my old twitter buddy, the value of your stock just doubled after this one. I wish you both the Very Best and look forward to seeing the Jeska Shoe Co. on a featured update here in the near future. Sharks help businesses to fruitation. How about approaching a chain of women's clothing stores that don't carry shoes but change their fashion every season? The interchangeable heels and accessories could match the latest clothing line, would add revenue to the stores and not take up too much warehouse/retail space. Stores that sell clothing with belts and jewelry as accessories already seem like a natural. Sure that Damon has already thought of this - just want to see Jessica go beyond her expectations for success. Retail price needs to be lowered. Mr. John just got my 100% support. Will be looking at his products first because the heart of this man. Awe some! The key will be for the shoe to be so comfortable that you want to wear it with all your outfits and just change it up! I wish them the best of luck! I watched the show and am so glad Damon went in on this idea. I love the concept and would purchase the shoes in a variety of colors but not at $200 a pair. Awesome product, and it's not that expensive really, not with the dollar beeing so low ;p but a 100 dollar shoe might be better. I would love this shoe, so I can be creative with different attachables. Reminds me of the episode of King of queens when Carrie sells cell phone cases. According to a post from October 2014 on the Jeska FB page, Jeska is no more. They were never able to launch and Jessica has moved on to other things. Jeska can not depend on Sharks. She needs to take destiny in her own hands.